New for 2018 our Spin Zone Bumper Cars are sure to BUMP and SPIN the living fun out of you! 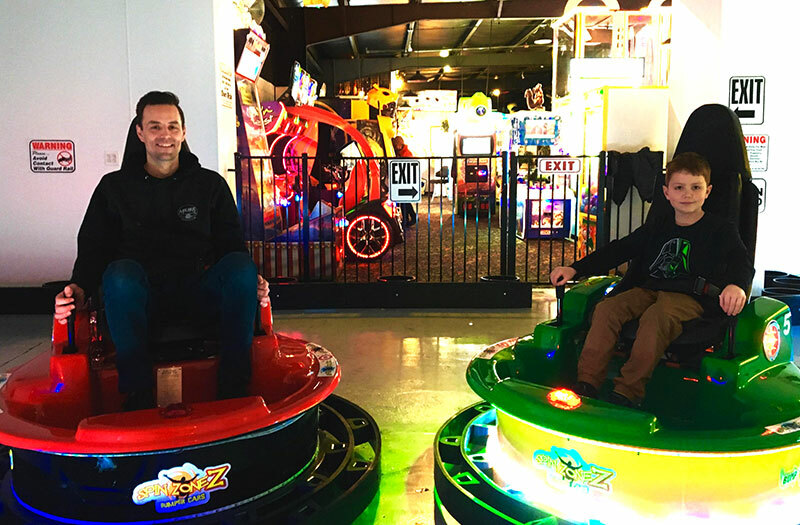 An aggressive “spin” on the old concept of bumper cars, the Spin Zone Cars offer dynamic impacts and the joy of spinning wildly when the targets on either side of your car are struck. “Chaos Mode” ensues with one minute left, where you will lose all control of your car and undoubtedly feel like are trying to tame a wild robot. Unlike the Go Karts, bumping is not only accepted… it is ENCOURAGED!